Precision Cams manufactures truely superior small engine camshafts. We use cutting edge technology, grinding all masters on a CNC camgrinder. Our engineers are some of the finest in the industry with over 30 years of experience in the business. 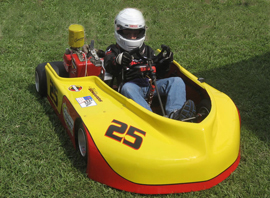 Whether your interest is go karting, junior dragsters, lawn mower racing, tractor pulling, or any other small engine application, we have a cam for you! 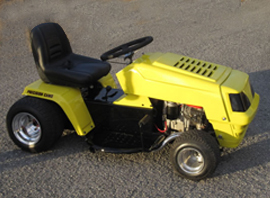 Cams for Karting, Junior Dragsters, Mowers, and more! 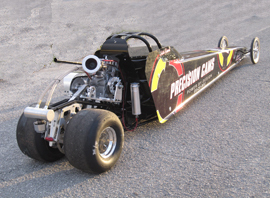 Precision Cams introduces a new line of camshafts for the clone engine. Put a PC "Cyclone" in your engine and turn up the power! For the bigger engines, we have now have Billet cams for the Intek Single and Twin including the brand new PC-440 profile. We provide same-day shipping on most cam orders. There's a turnaround time of 1-2 business days if we grind your core. We offer blueprinted parts, including our own "Vortex" carburetors and throttle shafts. Precision Cams provides professional head porting and machining, as well as flowbench services. We also stock a full line of parts for all your engine building needs.